The HEALING WATER INSTITUTE was an international not-for-profit education and research group founded by John Wilkes the Flowform inventor before he passed away. Iain Trousdell, resident in Sussex, England, is its director. Healing Water Institute was set up as registered charities in the UK, NZ and USA. We aim to recreate John’s site to help carry on and develop his amazing work. EDUCATE: To develop and share a comprehensive, holistic understanding of water through multi media, conferences and global initiatives, with the general public and with water professionals. RESEARCH: To conduct research that helps how to understand influences that improve water’s capacity to support life. INVENT: To design eco-technology capable of healing water, improving its capacity to support life.. The planet is apparently dying around us, with nature and humanity as part of it in great peril. Global Warming and Global Thirst are already here. This is the only planet we have. We have to wake up rapidly to help it and all life, including humanity and its culture. There are three types of water quality and pollution, which are chemical, organic and energetic. The Healing Water Institute works to educate the public and professionals especially about energetic water pollution, which is a frequency information pollution arising from capturing water out of nature and moving it in pressured pipes, and bombarding it unwittingly with unnatural frequencies. Healing Water Institute was active researching water’s influence on living things, and especially how rhythmical treatment of water can affect this. We will soon be publishing a collation of breakthrough research from 1970 until the present time. WHAT IS THE HEALING WATER INSTITUTE? In this context the Healing Water endeavour has been working in one form or another since 1960 to help water support life through design, research and education. The Healing Water Institutes in England, New Zealand and America are the charitable / not-for-profit arm of the overall Healing Waterendeavour, developed out of the pioneering mathematical surface design work of George Adams and John Wilkes in the late 1950s and early 1960s. The central and original Healing Water Institute is in Emerson College, Sussex, England where there is an Institute building for research, design and education purposes. This work has become highly relevant in this time with good quality, fresh water increasingly becoming a scarce resource worldwide. It is based on new metamorphic scientific paradigms that are being corroborated by modern university quantum physics research into the energetic qualities of water. The Healing Water Institute’s primary task is to be an advocate for water, developing insights and eco-technologies to help water support life while also working educationally to raise awareness of the plight of water. It has spent decades researching formative forces and the positive influence of fluid rhythms in nature as a means of finding ways to help nature renew its vitality. It is urgently essential that a comprehensive understanding of water is developed, one that includes energetic qualities in addition to the conventional chemical and organic qualities. Without this understanding, water will continue losing its capacity to support life with drastic results for nature and humanity. The Healing Water Institute’s achievements are now being understood more widely, invigorating the influence it can bring to bear on the problems of water and nature worldwide. Its profound insights into water’s tasks within nature have given rise to eco-technologies that are pure examples of advanced bio mimicry. In particular John Wilkes’ Flowform™ eco-technology accesses methods that nature has used for eons to improve water’s capacity to support life – the active vitality of the mountain stream combined with the living pulse of nature that is in all living things, with or without hearts. While this Flowform eco-technology has numerous practical applications, the Healing Water Institute researches this at arms length as well as considering other methods. Its main research purpose is to understand the rhythmical influences on water and through this, the benefits that flow on into nature and that help communities. This was founded as the ‘Flow Design Research Institute’ in 1975 by John Wilkes with Nick Thomas and Nigel Wells. The present building was created for it in 2002, through the generous support of a number of private donors and finally the Software Stiftung (Software Foundation) of Darmstadt, Germany. 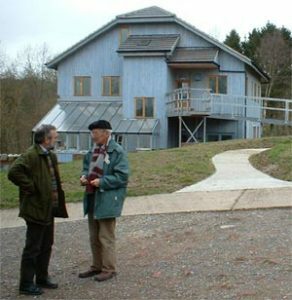 It is situated in the beautiful Sussex Biodynamic grounds of Emerson College, itself a Charitable Trust dedicated to applying and communicating modern methods of thought capable of bringing new approaches to the world’s problems. The English Healing Water Foundation is the centre for research into rhythmical influences on water and how these affect nature’s processes. Additionally recent projects investigate influences of Path Curve surfaces as well as polyhedral envelops on water’s capacity to support life. Under the auspices of the (Institute) Foundation many lectures and seminars have been conducted both in England and overseas. This was founded in 1988 by Iain Trousdell, Rob Dewdney and a supporting team of colleagues and was situated on a Havelock North farm in the Hawkes Bay until 2002 at which point it moved to nearby Napier, overlooking the Pacific Ocean and the ‘first sunlight’ in the day’s round. The Healing Water Institute Trust is a NZ government registered charitable trust, able to provide tax rebates to donors. It has concentrated on agricultural water research, and in particular dairy shed effluent transformation. In addition it has successfully recreated Viktor Schauberger’s ‘energy bodies’ which it has renamed ‘RiverFins’ as well as prototyping revolutionary fish passes which employ a figure8 action to ease the passage of fish upstream. It also has worked extensively on education programs, employing multi media methods. It has produced the Creative Secrets of Water free email series featured in this website and is working on the DIVINE WATER film project with the USA Healing Water Institute. This entity has recently been incorporated in Idaho by Chris Hecht and Iain Trousdell with the primary purpose of being active in educational work within and beyond the United States of America. The main project presently being progressed is the documentary educational film DIVINE WATER. For information go to www.divinewaterfilm.net or refer to its feature page on this website. It has an interest in researching all eco-technologies’ effects on water’s capacity to support life but will concentrate on taking the message of Healing Water to as many people in public and professional circles as it can. 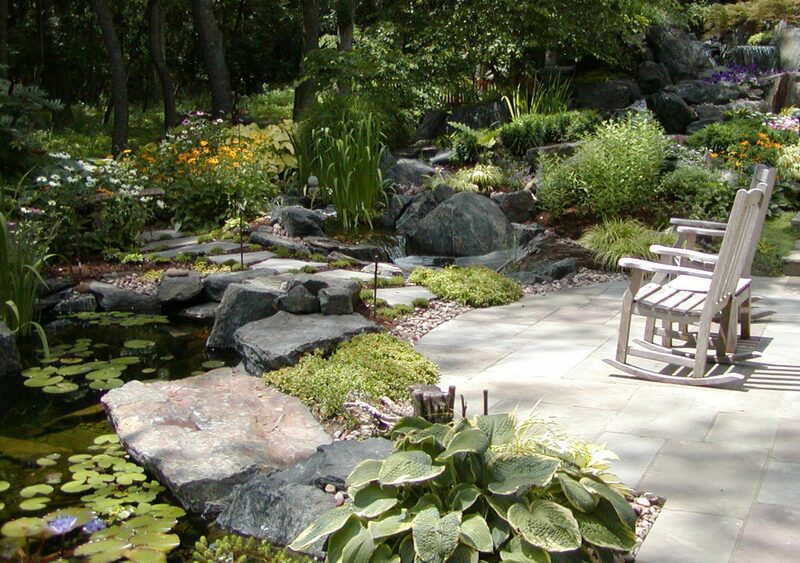 For more resources on sustainable landscaping products go to Biologic Performance.